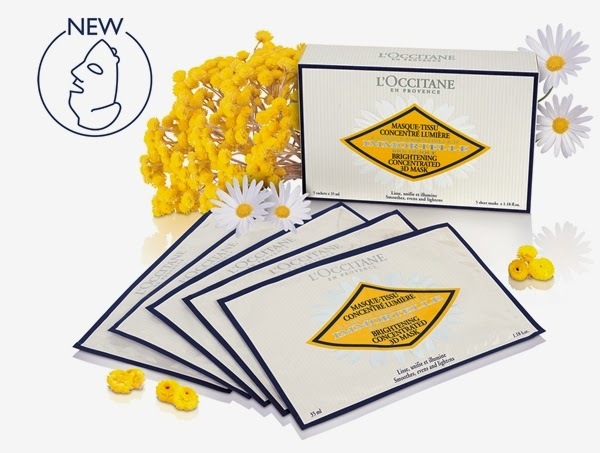 12th March 2014, New Delhi: L’OCCITANE, a true art de vivre devoted to your skin's well-being, launches its New Immortelle Brightening Range, combining the exceptional properties of two very special flowers, caressed by the rare light that shines on the Provencal landscape. It breathes new life into nature, restoring all its energy. Its brightness revives the skin, which also feels tired and devitalized, enveloping it in freshness. Capturing the essence of this beautiful springtime light, L’OCCITANE En Provence has combined the benefits of two carefully selected flowers - Immortelle and Bellis Perennis .The Brightening Immortelle range combines Immortelle Essential Oil, which has exceptional anti-ageing properties with brightening Bellis Perennis, to help keep skin youthful, glowing and even- toned. 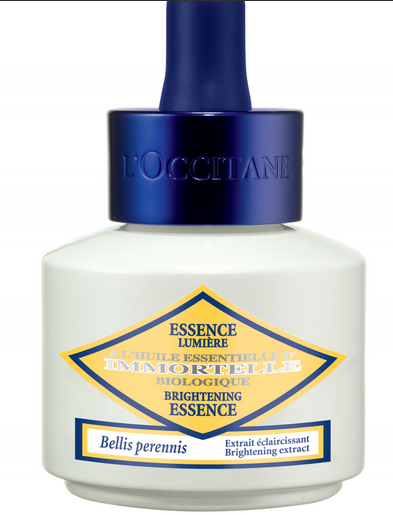 The new Brightening Immortelle Ritual includes three new highly concentrated and light expert products. Adding on to their Immortelle Brightening high-performance, skincare ritual of cleansing, moisturizing, and protection, this potent range, dedicated to youthful, luminous skin, is now more complete than ever. - Organic Immortelle Essential oil from Corsica, with patented effectiveness, helps to smooth lines and wrinkles and firm the skin. - Bellis Perennis, whose flower yield a brightening extract, gives the skin a texture that glows with youth. The new Brightening Essence formula contains an even greater concentration of active molecules, for high - performance brightening and radiance- boosting action. With its fresh, aqueous texture, this serum sinks effortlessly into the skin, helping to reveal its luminosity. By acting on pigmentation, it helps reduce and prevent the appearance of all types of dark spots*, for a more even - tones complexion. A tip from the make-up artist - Mix a few drops of Brightening Essence with your foundation or BB cream to add a touch of radiance. Whatever the light conditions, your complexion will glow as it catches the light. Brightening Touch Targeted Corrector and Eye Care & Mask Duo Brightening Correction - two new skincare saviours you can slip into your handbag and use anytime, anywhere. A lightweight, non- oily, tinted texture that blends seamlessly into the skin. This non-drying formula acts immediately to help reduce the appearance of all types of dark spots* and restore luminosity. Signs of fatigue fade away. Even dark spots seem to disappear. The complexion looks perfectly even, with the natural glow of youth. Tip - Apply on bare skin or after make- up. The brush allows for easy and precise application. Immediately, skin irregularities are concealed and areas of shadow are brightened (dark circles, hollow of the chin, lip contour and sides of the nose). This multi - purpose, triple - action formula can be used as a daily eye cream or an eye - contour mask. Its moisturizing gel - cream texture melts on the skin, helping to relax and soothe the eyes, while the metallic applicator gives an instant feeling of freshness. Areas of shadow are softened. The skin around the eyes is smoother and brighter. The eyes look refreshed, radiant and rested. Tip - Not only does this product <<save>> the skin, it also has a prevention action. When used as a mask, it revitalizes the eyes in just 10 min - so its ideal after a short night or before a long one! Cream texture, soap-free formula. Cleanses and removes make-up without drying the skin. Removes traces of make-up and helps tone the skin. Gel texture that transforms into a lotion. Helps purify and smooth the skin and even out the skin tone. Fresh and Light texture. Boosts the effectiveness of the Cream. Immediately helps smooth, brighten and even out skin tone. Fresh and smooth gel - cream texture. 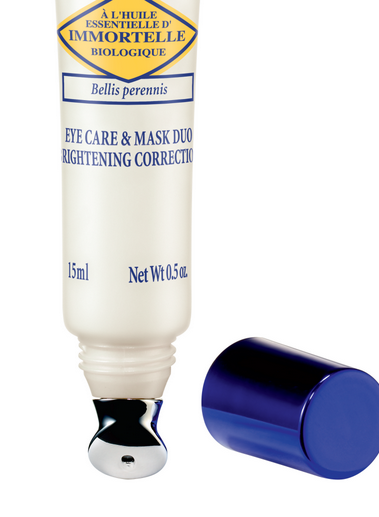 Helps to reduce the appearance of wrinkles and dark spots and brighten the eye area. Tinted formula. Helps to correct and conceal all types of dark spots* in the sweep of a brush. Gel - cream texture. Helps to smooth, brighten and even out skin tone. Non - Oily texture. Helps to smooth and brighten the skin while protecting against UV rays. Non - oily, fluid texture. Helps to smooth and even out skin tone on the hands and protect against UV rays. An intensive treatment that smoothes, evens and brightens the complexion. Combining Organic Immortelle Essential Oil and Daisy Extract for an anti-aging action and a brightening effect. Its 3D shape fits the facial contour and neck area perfectly. The skin is brighter and more even-toned for a youthful glow. Drawing inspiration from Mediterranean cultures, he developed skincare products and fragrances that were natural and authentic, effective and deliciously appealing. L’OCCITANE brings together nature and research, following the principles of phytotherapy. L’OCCITANE creates patented natural complexes and test the effectiveness and tolerance of the formulas under medical supervision. Ever since it was founded in 1976, L’OCCITANE has nurtured simple values: authenticity, respect, sensoriality and continual improvement. This is more than a philosophy: it is a commitment. Inspired and nurtured by encounters and journeys, the brand has grown and developed, always working with committed producers who insist on the highest standards. 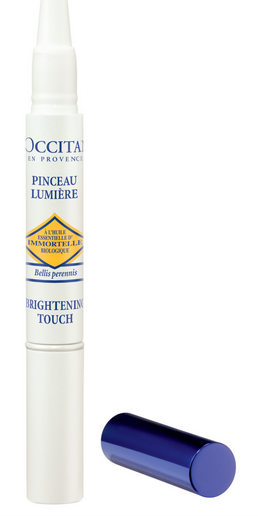 The products are available at all L’OCCITANE Stores across the country.